My love affair with the ukulele started a couple of years ago while living on a boat. It was an elegant solution for our need for a musical outlet, while spending so much time isolated on the boat. The problems that we needed to overcome were numerous, not least of which being the lack of space and the harsh marine environment. It was the corrosive sea air that forced us to leave Lacey’s beautiful Ovation 12-string guitar safely on land, with its steel strings and delicate electronics. Buying a cheaper, less precious alternative was quickly ruled out as the reality of life on a 36-foot boat and all the constraints that go with it hit home with the subtlety of Kanye West at a … well Kanye West at anything, really. During one of our much-anticipated forays ashore, where we often afforded ourselves such luxuries as a shower and food not-from-a-can, we took the time to wander around one of the small costal Washington towns. We allowed ourselves to dream of a place to live with flushing toilets and running hot and cold water. It was there that we found what turned out to be my first ukulele (actual ownership of this instrument is still disputed to this day). Nylon strings, a laminated wood body and a neck too short to warp. Being a soprano (the smallest size of uke), it ticked all the boxes for our purposes and with the addition of three Velcro strips on the back, found its new home (velcroed to the ceiling above our dining room table). 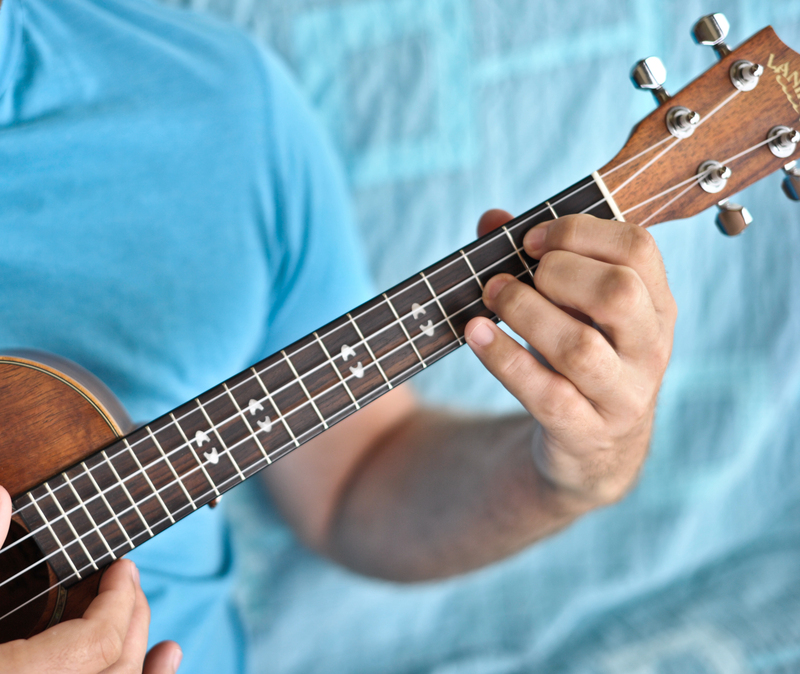 Like many of you reading this, I had never given much thought to the uke as a real instrument. My exposure was generally limited to the plastic varieties that are found broken and abused in the toy chests of children around the world (which even if they do have all four strings, are incapable of staying in tune). These are a far cry from the expertly crafted instruments that I spend my days coveting now. One viewing of Jake Shimabukuro and his rendition of Bohemian Rhapsody will emphatically and permanently dispel any thought of the uke as a toy. As someone who has tried unsuccessfully to learn the guitar as an adult, I often lamented not learning an instrument as a child. The affordability (my first uke was around $40), accessibility (4 strings and a few relatively easy open chords will have you playing your first song the day you get it), and the abundance of resources (YouTube videos, websites and the booming popularity of the uke) have made learning this instrument not only a lot of fun but also extremely rewarding. So if you are like me, and had given up hope of learning an instrument or you want something to sing along to or you just want to try something different, grab a uke, pick a song, look it up on YouTube, pick an easier song and start learning it. Who knows, the ukulele might bring you as much happiness as it has brought myself and many others. 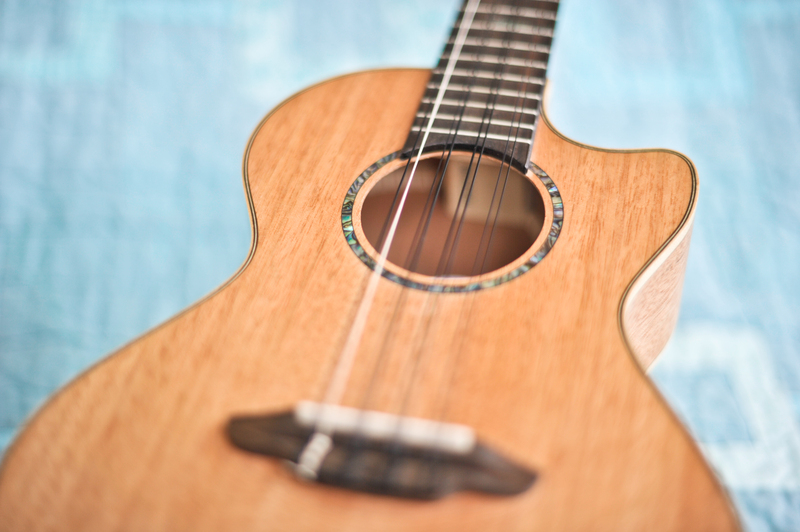 For anyone who wants to get started check back for my next post with some tips and advice on buying a uke, the best places on the web to find lessons and free materials. Tags: 4-string, 8-string, chords, hawaii, instrument, jake shimabukuro, lanakai, luna, lute, portable, stringed instrument, uke, ukulele. Bookmark the permalink.